High school students learn about the dynamics of disease outbreaks and efforts to control them. CHAMPAIGN, Ill. — High school students investigate Ebola-like outbreaks and administer vaccines through Outbreak!, a new summer course at Illinois that uses online games to encourage critical thinking about fighting infectious diseases. 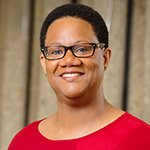 University of Illinois clinical epidemiologist Yvette Johnson-Walker, a clinical instructor in the department of veterinary clinical medicine, teaches high school students about disease transmission and public health. Dr. Yvette Johnson-Walker, an epidemiologist and a clinical instructor in the department of veterinary clinical medicine at the U. of I., leads the four-week course with her colleague Dr. Maung San Myint. The program combines discussion and game play – including board games – to explore the science behind disease outbreaks and the social issues that can influence the spread of disease. 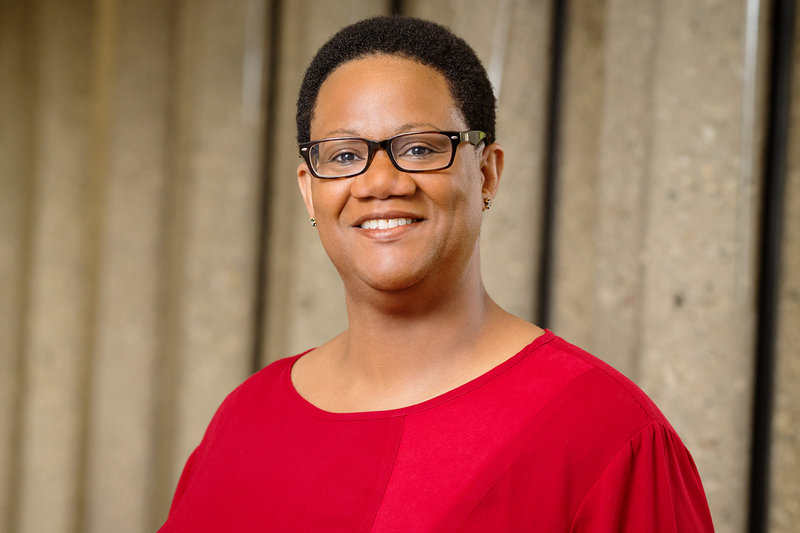 Johnson-Walker said she hopes to interest students in public health issues and how they relate to disease emergence, the environment, education and the culture of the area where a new outbreak occurs. For example, students analyze and discuss the 2014-16 Ebola outbreak in West Africa, learning what can happen in places with limited resources and public health infrastructure, and how culture and human behavior can interfere with strategies to stop an outbreak’s spread anywhere in the world. They also play the online interactive game Vax!, which represents individuals as dots connected to other dots by a network of lines. A player can vaccinate three dots within the network before the dots begin to turn red and the “infection” spreads from dot to dot. Players must isolate as many remaining healthy dots as they can to break the chain of infection, guarantee a 40 percent survival rate and move to the next round. The game shows students which strategies work best to prevent new infections, Johnson-Walker said. 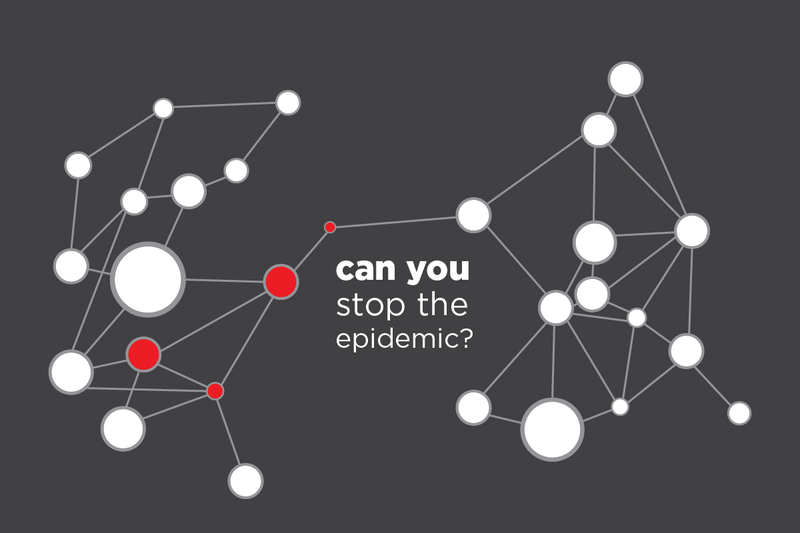 A game from the Centers for Disease Control and Prevention, Solve the Outbreak, walks students through scenarios involving a fever similar to Ebola or a food-borne illness and asks them to track down the source of the outbreak. As a “disease detective,” each player analyzes data and weighs the next steps to make sure the outbreak does not resurface. This teaches students the importance of herd immunity, Johnson-Walker said, and about real-life obstacles – such as individuals who choose not to vaccinate – that make it more difficult to stop the spread of infection. These are important concepts when thinking about the development of new vaccines or the best ways to distribute vaccines to protect the larger population, she said. Another game, Influenza, requires players to make policy and resource decisions. Should they close schools? Ask people to stay home? Is international travel involved? These decisions show how the environment plays a role in emerging diseases, Johnson-Walker said. For example, success in eradicating smallpox was due in part to the lack of a wildlife carrier that could pass the disease to more humans. An outbreak like Ebola, where the way people interact with wildlife can affect the spread of a disease, makes it much more challenging to control that disease, she said. “How we respond to a new disease is going to look very different depending on where in the world it emerges,” Johnson-Walker said. The Outbreak! course is supported by a grant through Illinois’ Center for African Studies as part of the Global Reach Area Studies Program initiative.